Hopefully you bought $CURE a few months ago when I first wrote about the etf. 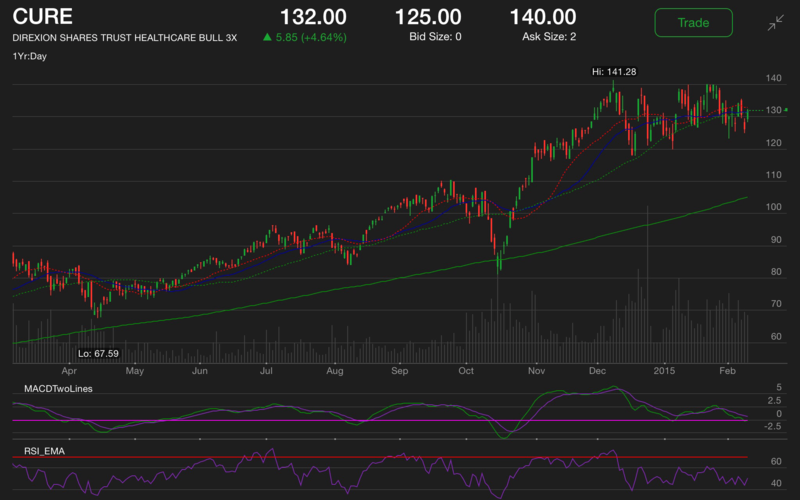 Since then, $CURE has jumped up from $132.00 to $160.00 and then split 4 ways about a week and a half ago. Now with the stock at $40.24 after the split, it’s not too late to jump in now. If you look at the updated chart below, it looks like $CURE will keep it’s winning streak going. You could gamble and wait for it to go down to $38.00 but I doubt it get’s there. If it hits $39.00, I would consider that a strong buy. 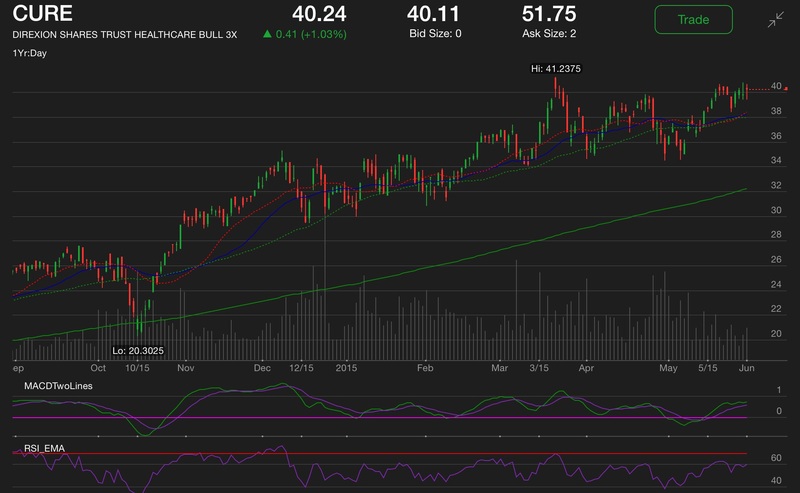 If you are looking for a way to play the healthcare sector, look no further than to $CURE. It’s not an extremely volatile stock, and it’s moves up seems to be larger than it’s moves down. In my opinion, it’s the best ETF on the market. It’s trend is upward, but it has been trading side ways since December and testing it’s 50 day moving average. It has managed to pass that test every time and if you look at their chart, they are right at their 50 day moving average again. It’s safe to buy this stock at this $132.00 price. If you really wanted to try and time it better, you could wait to see if it will hit it’s support level of $125.30. There is some resistance at the $140.00 price, but CURE has been making higher lows since December so it will take out that $140.00 resistance easy soon.